My wife made me join facebook. 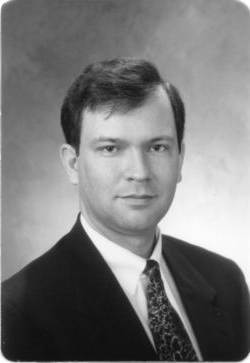 The first image is my business portrait from about 1994. The second is a Usenix Face Saver project picture taken sometime between 1983 and 1988. I was a little heavy back then! 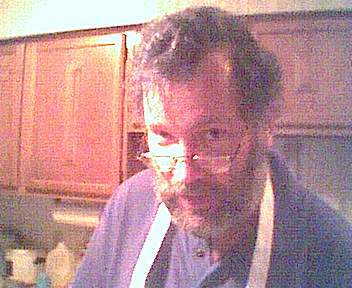 The third was taken at Christmas 2001 by my friend Steve Ryan while I was cooking posole in his kitchen. He used a crummy low-res digital "spy" camara. I am a programmer for StatSoft responsible for large-scale software engineering issues, performance engineering, and whatever else gets assigned to me. Elementary Statistics, at TCC Metro Campus. Materials for the course. Scientific programming in C++ for Science and Engineering students, CS/ES 2503, Fall 2002. I am working on a set of lecture notes for Network Security. Some of that material, the portion that overlaps with my research, is being presented in a series of lectures. Materials for those lectures are on line. After teaching Calculus quiz sections for two years I have some thoughts on written homework that current TU calculus students may find helpful. I was a Ph.D. student in the Center for Information Security and the Department of Mathematical and Computer Sciences at the University of Tulsa. I completed a Masters in Applied Math there in the Spring of 2001 and my undergraduate work was spread out over eleven years at Rice University. My research interests involve the application of rigorous mathematical reasoning to hard programming problems. My research focused on a system for proving that cryptographic protocols deliver the security properties claimed for them -- if any of them actually do. For background on the problem, see this paper. A useful survey of the literature is available here. A paper (with Sandip Sen) presented at the ATAL conference in August, 2001. It includes an incremental variant of the maximum-weight matching algorithm. I tried to learn to use the Isar theorem proving environment. This directory is the beginning of a revision of the Isabelle/HOL Tutorial. I am redoing all the proofs in Isar style, with comments on the experience. I have done a lot of work on a rather specialized sum-of-products circuit design problem. Paper in HTML, Postscript, and TeX source formats. Design program in Gnu Prolog (standard prolog with finite-domain constraint propagation extentions). I gave a talk on the problem and my solution, here are the slides in powerpoint format and in HTML. A paper on the financial options valuation problem, also in Mathematica notebook format. Another paper following up on the first one, for my Applied Regression class. Chad Westphal and I did a group report on the string model of vorticity in fluid dynamics. It seems to break latex2html, here it is in PostScript and PDF formats. The hexagonal close-pack simulation grid and the corresponding algorithms are developed in this Mathematica notebook (HTML) and the fast C implementation of the simulation algorithm is here. Here are the embalmed remains of a bit of research I did on data format conversions, and a debugging malloc replacement from some long-ago project. Flash: I've revived the format conversion work and am basing my network security class project on it. There is a free reader available for Mathematica notebooks. For PostScript, I use the Gostscript viewer. This is the statement of purpose I wrote for admission to TU, in HTML format. Here are some poems, vignettes, and other short stuff. Of these, Small Talk is probably the best. Also, I've posted the paper I wrote in 1991 on King Lear, in DVI PostScript and HTML formats. There is an image called for that is reproduced here only in the HTML version. I was "Callimachus" and "Macready" in the Taurus Productions version of Clive barker's History of the Devil. I played a composite role best described as "Minister of Justice" in the February, 2003 production of The Winter's Tale at the Nightingale. The Tulsa World graced that production with the most glowing review I've ever seen for an amateur theatrical production. I was "Gentleman" in Midwestern Theater Troupe's October 2002 production of He Who Gets Slapped. I had several minor roles in Midwestern Theater Troupe's 2001 production of Coreolanus. I worked as a technician for Sentinel Power for a little over two years. I really got a kick out of going into big dirty (and often dark) plants and finding the terrifying things that were going on inside their automobile-sized 4000- and 13,000-Volt circuit breakers. But being home for supper every night (with my clothes still mostly clean) is a lot better. Ancient history department: I designed this serial board. Sadly, the more amusing portions of the manual have been cut out. Flash: apparently, so has the company that bought the rights. Sigh. If you have softcopy (or are willing to scan a hardcopy) of either verison of the manual, please email me. 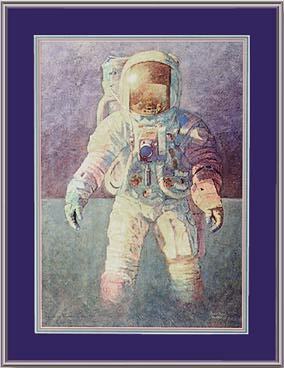 More ancient history: I was a founder of EFH (Electronic Frountiers Houston). I also carry EFF membership card number 113. This article by Edith Sorenson is a great time capsule, though the photos are missing. My painfully detailed and somewhat out-of-date resume and a slightly more detailed summary of my realtime and embedded projects.